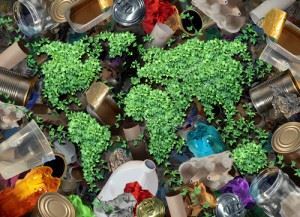 Studies conducted show that the United States is responsible for generating a massive 220million tons of waste annually. These are certainly astounding figures and are far larger than any other countries worldwide. It also shows the need for proper waste management techniques. These figures are surely cause for concern and is the reason why government has collaborated with several environmental organizations such as the United States Environmental Protection Agency or EPA to develop numerous strategies, methods and policies in effort to provide solutions and alternatives as it relates to managing and reducing the huge numbers of waste generated within the United States. Essentially this is done to encourage safe disposal of waste as well as to avoid water contamination, pollution or any major health issues especially when dangerous and hazardous waste is involved. There are a few helpful suggestions that can serve to aid people with the proper disposal of waste. These include reducing container odor, keeping your waste area clean and disposing of bulky items. Loading containers properly – When loading waste into waste receptacles people should ensure that receptacle lid can fully close. This is emphasized as most waste removal companies will refuse to service waste areas if trash is unable to fit in the container with the lid fully closed. Not to worry because even if the volume of your trash increases there are some junk removal companies that can adjust your service by increasing your container size or the frequency of collection. This can help to eliminate overloading receptacles as well as help you avoid additional fees caused by container overflow or spilled trash in the waste area. Reduce Odor – To help reduce any unpleasant odor around waste areas people are encouraged to tie trash bags tight before placing them in waste containers. This will help to significantly reduce any foul odor caused by spilled waste. Clean Waste Containers Regularly – Making a practicing of cleaning of your waste container/s as well as the waste area surrounding containers will aid in keeping waste areas clean and odor free. The number one goal and aim of Waste management is to properly manage waste from its inception to its disposal for a clean, healthy and safe environment. Since safety is a top priority for Waste Management it has over time become a shared responsibility whereas it starts right at your waste container. Therefore by upholding proper waste disposal practices people will help to maintain clean waste areas that are functional and safe for both you and waste management personnel. Contact us for more information. This entry was posted in Uncategorized on June 14, 2017 by mattverga. Last updated August 1, 2017 .